In life you must make a choice either to succeed or to fail in life. You are 100% responsible for your own life. 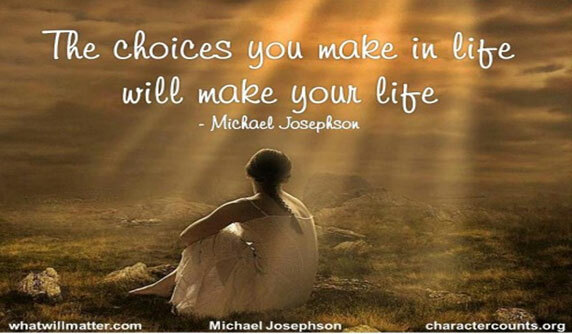 The choice you make in life matters a lot as it will either have a positive or negative impact on your life. The choice you have to make is simple: Success in life. Remember every choice leads you some where. Success leads you to life satisfaction and failure leads you to suffering as a result of not achieving personal goals. You are who you are because of the choice you made. 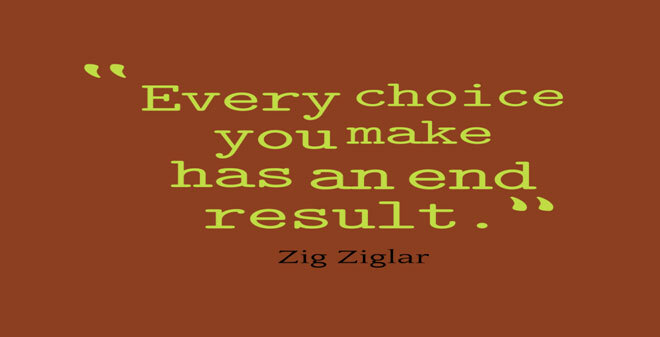 Your choice can change you either positively or negatively. You do not require approval to choose what you want because you will never get the approval. 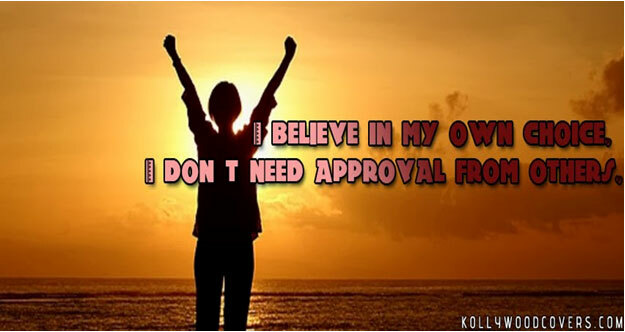 How can someone give you approval to implement your own dreams? Life gives you a choice either to remain where you are right now or to move forward irrespective of the obstacles. All you require to succeed in life is to choose to move forward. Success in life is about walking your own journey guided by the Success Formula.